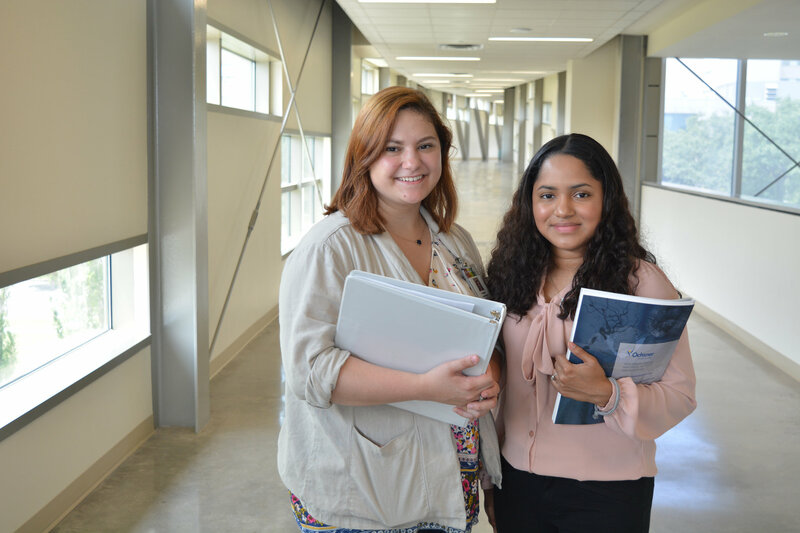 University of New Orleans student Dayana Frazer says the University has helped her lay the groundwork for a career in medicine. She spent part of her summer at the UMass Medical School working with UNO alum Dr. Terence Flotte, the medical school dean. Dayana Frazer, a senior at the University of New Orleans, could very well be “focus” personified. The biology major, who counts studying among the ways she de-stresses, will graduate in May and currently has nearly a 4.0 grade point average. Following a gap year spent working in a research lab, Frazer’s next major focus will be medical school. She’s leaning toward an M.D./Ph.D. program. Johnson met Frazer during her sophomore year when she enrolled in his course, Population Genetics, Ecology, and Evolution. Her studious nature later prompted him to write a recommendation letter for a summer research internship in which he noted her academic drive and accomplishments—including her high grade point average. While acknowledging compliments for her achievements, Frazer also self-consciously shrugs them off. As the first in her immediate family to graduate high school and now college, being focused is a driving force; failure is just not an option. When Frazer was 3-years-old, her mother moved to the United States from Honduras, leaving Frazer to be raised by her grandmother for nearly a decade. Frazer, who grew up in Honduras, joined her mother in the U.S. when she was 12. The transition wasn’t an easy one, Frazer said. Frazer learned to speak English fluently and she and her mother became naturalized citizens last year. Frazer speaks about her path to UNO and her aspirations with such determination that it seems nearly every high school student could benefit from hearing her tell it. Her focus is research-based. In her sophomore year at Archbishop Chapelle High School in Metairie, her interest in science was piqued by a biology course. She explored that interest more when given the choice of taking Biology II versus chemistry or another science. Before starting college, she shadowed a physician to get a feel for whether a career in medicine would suit her, Frazer said. She is specifically interested in women’s health. The career shadowing experience fueled a compassion to be able to help people, Frazer said. As a student at UNO, she’s spent summers in medical labs conducting research and further laying a foundation for a future medical career. Frazer was one of five UNO undergraduates chosen for a summer research internship at Ochsner Medical Center in 2017. During the six-week program, the students engaged in work that sought to understand more about liver cancer recurrence, to improve care for babies and children with pulmonary health concerns and to help develop successful cancer therapies that would perform in a patient who has developed drug resistance. 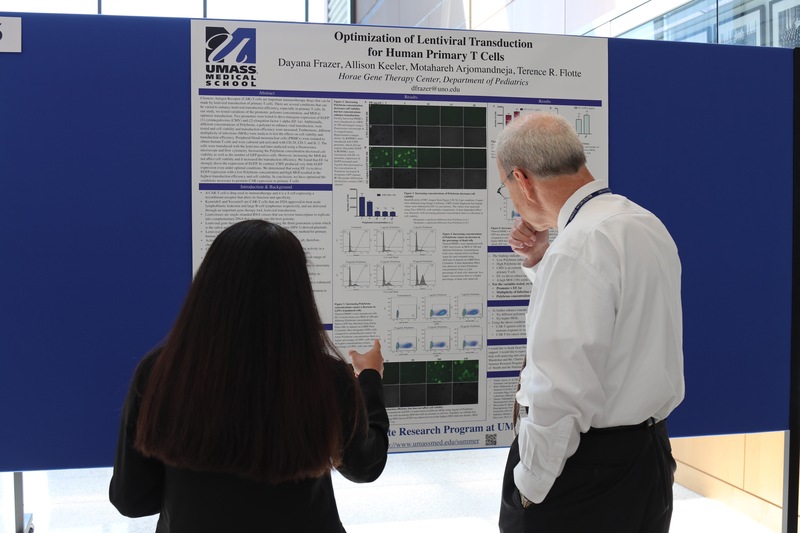 This year, Frazer participated in a summer undergraduate research program at the University of Massachusetts Medical School. She was one of 29 high-achieving students chosen from across the country to attend the 10-week mentored laboratory clinical research program. Frazer worked in the gene therapy lab of University of New Orleans alum Dr. Terence Flotte, the dean of the UMass Medical School. Frazer said her summer research has left her learning toward an M.D./Ph.D. program that would allow her to translate her medical research into patient care. As she edges to the finish line of her undergraduate degree, Frazer credits the University of New Orleans and its faculty for preparing her for her next career step, and for exposing her to research opportunities that allowed her to broaden those pursuits.